Does it feel like every time you look in the mirror you see a new line, wrinkle, or sag? Do you miss the firm, fresh skin you used to have? Don’t wait for more wrinkles to show up before you take action. You can reclaim your youthful skin with the help of our breakthrough no-surgery skin renewal treatments. Platelet-rich plasma (PRP) therapy is an innovative new ‘stem cell like’ treatment that uses your own cells to regenerate your skin tissues safely and naturally. First, our medical experts draw a tiny amount of your blood and run it through a dual-spin centrifuge process. Platelet-rich plasma separates out of the sample, containing high concentrations of regenerative cells and growth factors—all the good stuff. 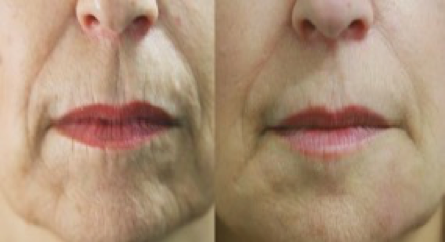 Our medical team then carefully reintroduces this powerful plasma back into the area you want to treat, where it goes to work right away, repairing damaged tissue and regenerating your youthful glow. In fact, PRP is effective for all kinds of therapies, from encouraging hair growth to eradicating joint pain—but it’s especially popular for helping people just like you reclaim a smoother, firmer, healthier skin. Micro-needling is another novel and minimally invasive skin-rejuvenation procedure with head-turning results. It helps wipe out those fine lines and wrinkles, and brings back your younger-looking self. It’s great for fading out the appearance of hyperpigmentation, scarring, and stretch marks too. During micro-needling, the tiniest needles enter the skin surface (painlessly!) and prompt the skin cells to produce fresh collagen and elastin. That’s how the skin regains its smoother, firmer texture. 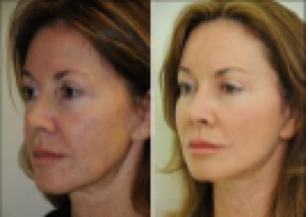 Micro-needling works especially well when you have PRP therapy alongside it—the two complement each other perfectly. Chemical peels, botox injections, and fillers are safe, reliable, and super-effective ways to rejuvenate the skin. A chemical peel uses different solutions to remove the outer layers of damaged, dead cells from your skin surface and stimulate regeneration. 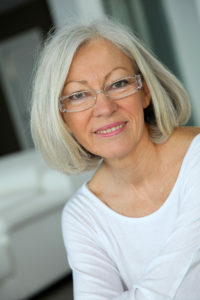 Many people see immediate improvements in wrinkles and fine lines and in overall skin texture and tone. Peels are also effective for treating hyperpigmentation, rosacea, acne, and sun damage. Botox is a protein that relaxes the muscles that cause skin creases. It’s exceptionally good at reducing those pesky wrinkles and folds around the eyes, lips, chin, and neckline. No more worrying about laugh lines—laugh all you want, with your natural confidence! Fillers are safe, injectable medications often used to restore volume loss in facial rejuvenation procedures. They mimic natural hyaluronic acids found in most living cells, binding with water to form a gel-like material that plumps up the skin, restoring your natural, youthful appearance.